Argh, I love all your findings so much! I want them allllll! I need to keep an eye out for those tiny frames, I have something I want to do with them. I went shopping today, but luckily we don't have Black Friday in Australia, so the shops were quiet. I got some needful things like a new pair of ankle boots, a new camera, and some fabrics for the learning to sew Victorian inspired dresses project which is upcoming! The thrift store spirits have been good to me. ;) Good luck on your sewing project! Suggestions? Absolutely! :) What concerns you about painting inside? Is it the fumes? Sorry for late answer:) Yes, it's fumes. We live in a two rooms apartment plus kitchen and bathroom. As we rented it, it had no furniture, so we got it from friends for a symbolic price. I love when things are matching but now got different colors and it all are a common furniture simple with no charm. There is no point of starting collecting furniture since we still do not own our place. Would be to much trouble to move it all the time. But I'd love at least make it look more of my taste. Painting in black and then adding some nice ornaments would be great. But I don't want to breath the fumes... Are there some special paint I can use? The main source of fumes in paint is VOCs (Volatile Organic Compounds). A waterborne paint with low VOCs will not emit harsh fumes. My preferred paint brand is now zero VOCs, and it has hardly any smell at all. Even painting inside my closet or small windowless bathroom, I did not have a headache or any problems with fumes. Low-odor, low (or zero) VOC paints with low-VOC colorants are becoming more readily available. If you ask at a paint store, they should be able to help you find a breathing-friendly paint. Spray paint will stick to just about anything. Metal items are typically great candidates for spray painting; in fact, there are spray paints in metallic or "hammered" metal finishes made especially for metal items. Note: spray paint is NOT low odor. I recommend going outside to use spray paint. Thanks :) I'll try searching for low odor paints. This is the only sort of Black Friday I will ever get behind. If I even leave the house on BF, it is only for food, gas, etc. Well done, as always. 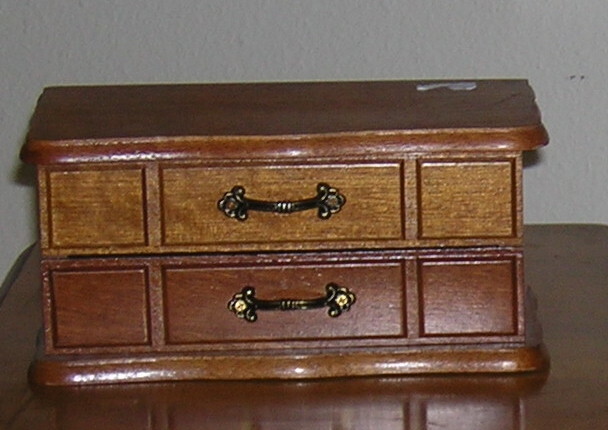 I have a similar jewelery box to yours that I acquired in my childhood. It is far too small these days, and now only holds my nose and navel rings. It does, however, remind me of a story: my husband once purchased a very large jewelry box for me at the thrift store. It was hideous: pale beige and bright red. He saw my look and said "just wait" - and presented it to me the next day in black and silver. He can be quite sweet, when he is not being a giant poop. Such a great inspiring post! :) And your dog is so cute! <3 I would love to make such a bed for my dog as well but I don't know what I would make it out of. If I made my dog a bed, she would eat it. Wooooooo Bane's Black Friday rules!!! Go me! ;) I might have to make it a recurring theme. HAH!!! What a perfect version of Black Friday - you rock!!! Oh those look so much better after your painting!! Behold the power of paint! :D It works wonders. Most of that stuff has been improved 1000-fold for some black spray-paint. The only things I wouldn't have painted are the handles on the box, as I quite like the original metal. I might have just left the box alone altogether, but I quite like wooden boxes, nearly as much as I like having everything black. The iron wall decor is FABULOUS and certainly my favourite bit :) The stand goes from hideous to awesome with a change of colour (I hate those faded greens, they are more shabby than shabby chic! But that's just my opinion.) and I love the owls in gloss black. The Hobby Lobby store carries a ton of wrought iron, and I have to exercise such restraint every time I'm there! :) A few pieces still manage to come home with me from time to time. i'm finally catching up on blog reading... black friday terrified me in new york. i always assumed even going to an office job i would somehow get caught up in the insane mobs and get trampled. but i love your take on the idea. what kind of silver paint did you use for the drawer handles and the candlestick holders? For the silver, I used Rust-Oleum Painter's Touch primer and then Metallic Aluminum to fully cover the items. Then I sprayed a light top coat of Rust-Oleum Universal Satin Nickel. The Universal is more expensive and I don't like the sprayer, so I used it for just the final coat. When I go to Goodwill, I forget that I can turn things black after taking possession of it. I would have completely bypassed that brown jewelry box b/c of its finish. I need to learn to think. Did you spray paint the jewelry box or did you hand paint it? I spray painted it. For glossier surfaces like the jewelry box, I've found that spray paint adheres best. Do you prime it first in some way, or simply spray paint it? Is the spray paint scratching off a concern here? Aw your dog looks so cute and comfy in the new bed! Thanks! :) She loves her bed, especially in winter when it has a heating pad.